The chances are that you’ll already have done this as part of the installation, however as you need to have done this to receive any reports, it’s worth taking a look to see all is in order there. 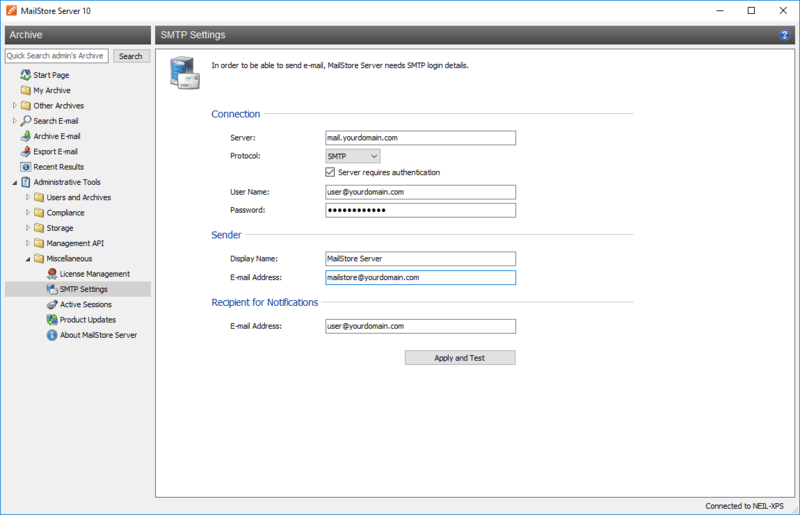 If you haven’t already configured these, navigate to Administrative Tools > Miscellaneous > SMTP Settings. 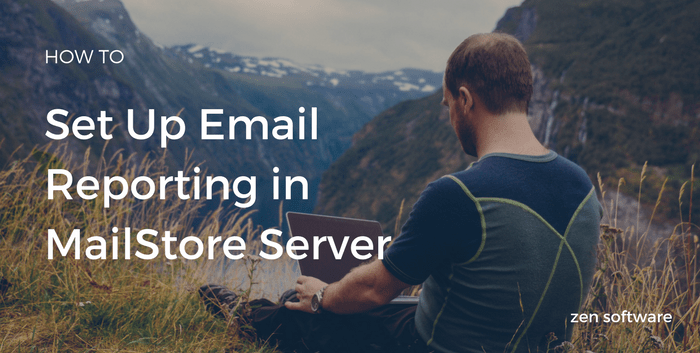 Make sure you use valid SMTP server settings for your network and run a test to confirm these are working. 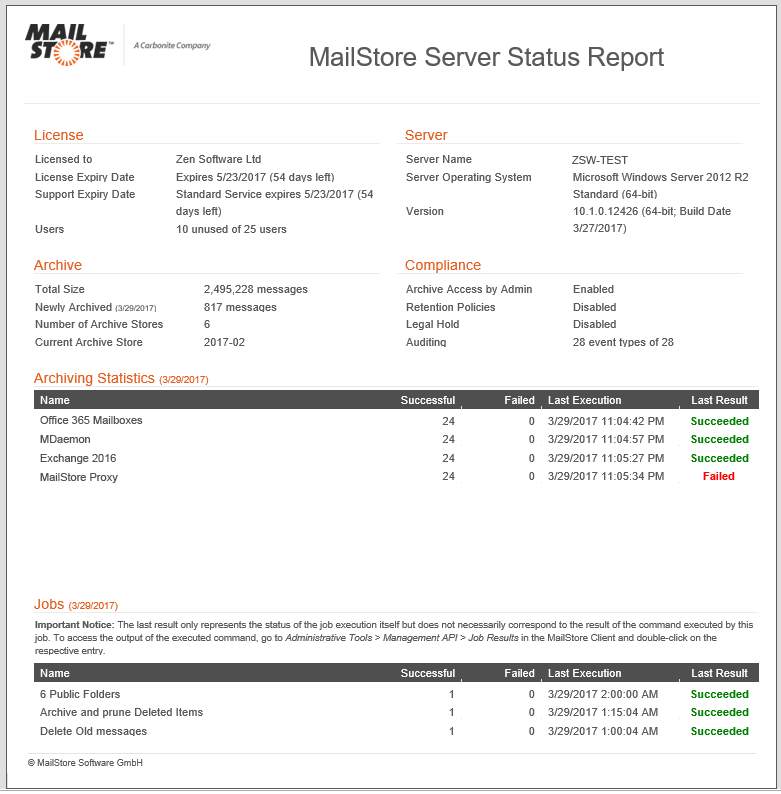 The new reporting feature itself lives in the ‘Administrative Tools’ section of MailStore. 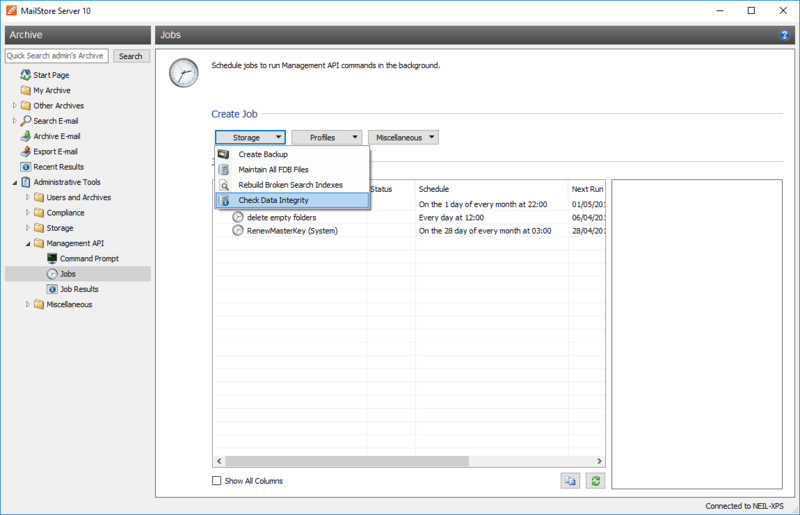 Navigate into ‘Management API’ and then choose ‘Jobs’. 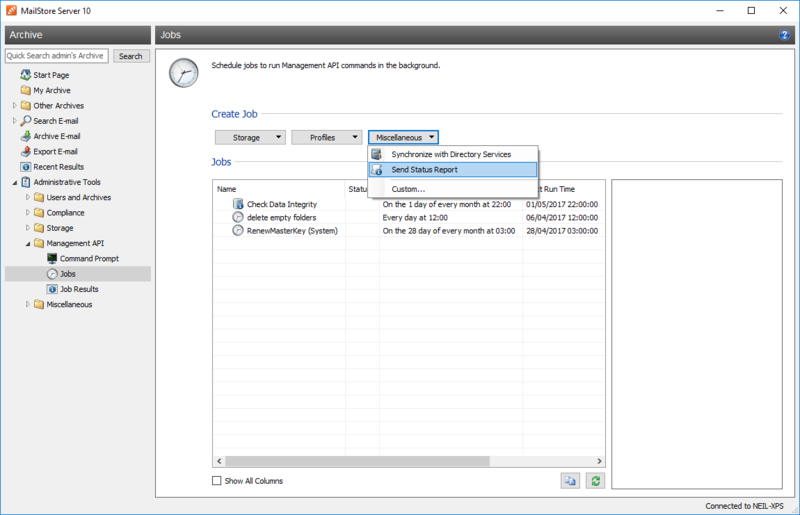 Under the ‘Miscellaneous’ job type section, you will see the ‘Send Status Report’ option so give that a click. 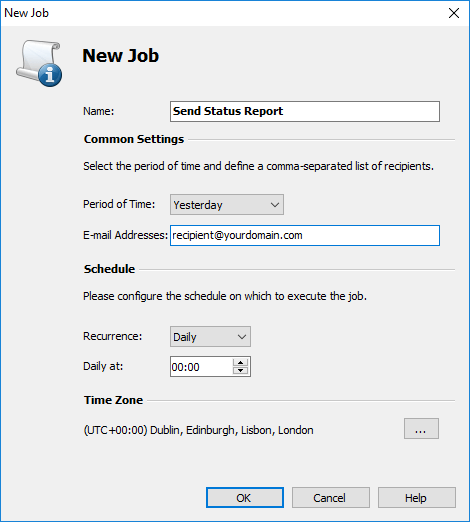 This will give you a ‘New Job’ window where you can choose the time period for which you’d like your report to cover, the recipient of the email and also when you’d like it to run. And that’s it – using these settings you should receive a beautiful daily email with lots of useful information, including detail on your jobs and whether they’ve been running OK. If you haven’t done this already, it’s very well worthwhile indeed. 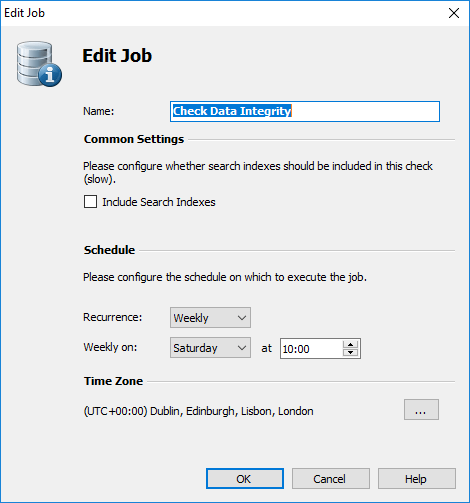 By adding another job that performs the ‘Check Data Integrity’ task at least weekly, you’ll see nice and early if you have any disk issues as they’ll also be highlighted in your status report. You might want to leave the ‘Include Search Indexes’ box unchecked because they’re less important and can be recreated easily enough if needed – this should keep report generation snappy. Just so you know – if you use large storage locations, this type of job can take quite a while -in our tests this job can check around 700,000 messages an hour so extrapolate that and you should have a rough idea of what to expect. Hope that helps – let me know in the comments if there’s anything you’re not sure about.